BTW, I think the concert venue staff are really the ones responsible for all the unauthorized clips. Maybe it’s too hard to control, but they let this happen. News: After front-runner Rudy Giuliani said he had a scheduling conflict and Mitt Romney said he might not go, the CNN-YouTube debate on September 17 for the Republican presidential candidates in Florida apparently has been postponed. Analysis: Let’s hope Giuliani and Romney can clear their schedules. Let’s hope that this doesn’t mean it’s cancelled. News: More video of Ron Paul’s visit to Google on July 13. Looks like Dr. Paul blew away the crowd. It’s still hard to believe that Ron Paul is the most exciting candidate of all the candidates so far. At least on the Internet and YouTube, Ron Paul is a rock star. I promise to have my study of the Ron Paul YouTube phenomenon soon. News: It just happened a few minutes ago. 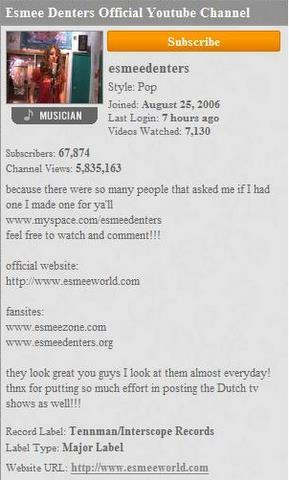 Esmee Denters overtook Mia Rose for the No.1 Most Subscribed Musician on YouTube, 67,874 subscriptions versus 67,861. Esmee also is the No.1 Most Viewed female artist on YouTube (close to 41 million views) and 3rd Most Viewed overall musician — next to My Chemical Romance (over 65 million views) and the entire Warner Brothers Records label (over 48 million views). Video of the week: Did the YouTube debate just lose Barack Obama the nomination? This question turned out to be the biggest question of the YouTube debate. Hillary Clinton’s camp said it shows Barack Obama’s inexperience. Obama said a day later that it shows his new thinking (although in the question he invokes Ronald Reagan). You be the judge. 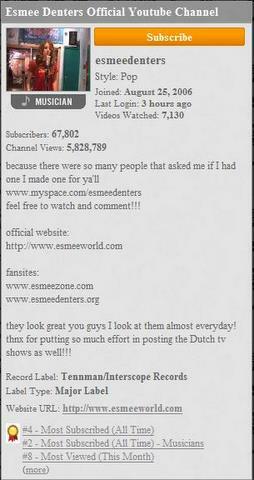 News: Dutch singing sensation Esmee Denters appears poised to overtake Mia Rose as the No.1 Most Subscribed Musician on YouTube. 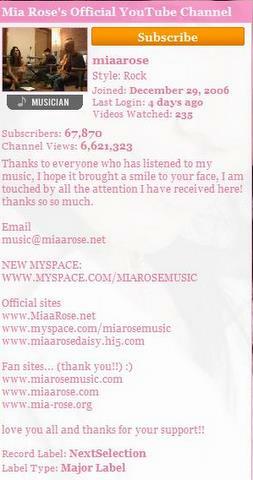 Esmee’s at 67,824 subscribers, Mia Rose is at 67,870. That’s the closest it’s been (46). 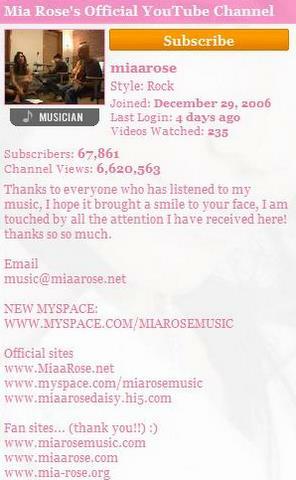 Esmee already is the No.1 most viewed female musician, so if she overtakes Mia, Esmee will further solidify her status. Analysis: Fair use is always a difficult thing to predict because courts have a lot of discretion to decide however they see fit. And I don’t think there’s been any test case for fair use of background music in a home video. This one, though, seems to me to be a pretty strong case of fair use. The segment of Prince’s song is short and barely audible amid the ruckus created by the kids. It’s not substitutional of Prince’s song in any respect. Also, the song was used in one of those spontaneous moments involving a baby that all parents want to preserve on film to document their child’s growth. I think it would be similar to a news reporter showing a scene from a county fair and having (spontaneously) some live music being captured in the background. 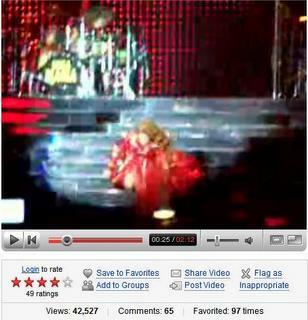 You are currently browsing the The Utube Blog blog archives for July, 2007.